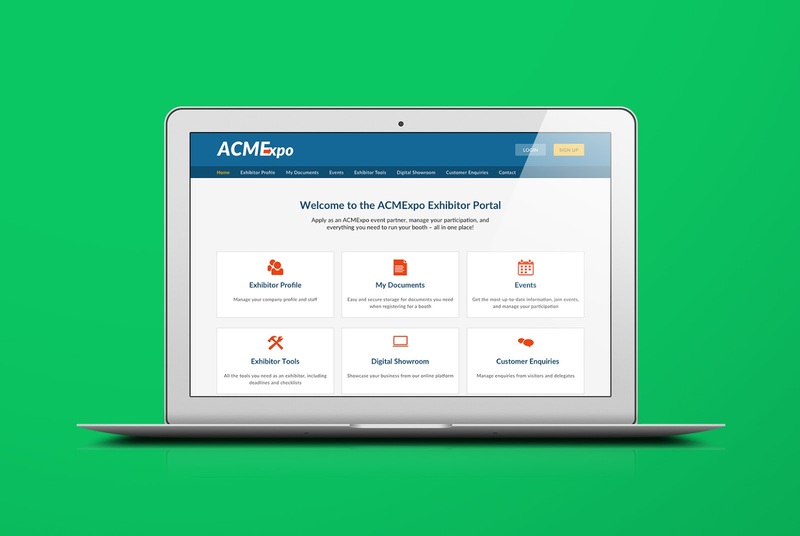 An event producer sought to revamp its Exhibitor Portal to encourage more exhibitors to participate in their events. The initial scope involved the Events section of the portal, where the aim was to design the exhibitor application process, from expression of interest all the way to payment and confirmation. Further into the project, the brief was amended to remove the Events landing page and replace it with the overall Exhibitor Portal home page, linking to other sections of the portal. I was part of a 4-person UX and UI team. We worked closely with the local development team, a remote developer, and the end-client’s product and events team. Research involved workshops with the development and product teams, face-to-face interviews with the events team, ecosystem mapping, empathy mapping, persona creation, storyboarding, journey mapping, competitive analysis, and review of the end-client’s existing event websites. My ecosystem map showed the interrelationships among the different stakeholders, roles and capabilities between the portal (public-facing) and the CRM (end-client-facing), the different types of events, and the process a prospective exhibitor has to go through to successfully participate in an event. It also helped the team plan a logical information architecture. 2) reaching a consensus when there are multiple stakeholders involved. After rounds of low fidelity wireframing, the entire project team eventually arrived at an agreement on certain design decisions, refined further at high fidelity stage. Right before visual designing began, the project brief was amended to change the Events landing page into the overall Exhibitor Portal home page. This meant the page will now display links to the other sections of the portal, such as Exhibitor Profile, Exhibitor Tools, My Documents, etc. instead of featuring event cards. I proposed four variations of the revised home page already in high fidelity mockup. While it was not ideal to skip the wireframing stage, it had to be done to maintain the project schedule. The brief was amended to change the Events landing page into the overall Exhibitor Portal home page. I proposed two calendar views – grid and list, with the former being the default view. The aim was to entice exhibitors to participate in events. With merely a few seconds to get their attention, images will help describe the event in a short amount of time. The list view is a streamlined version of the original calendar from their old website. Irrelevant columns, like Event Status, were removed. The rationale behind it was if the event is not confirmed to take place and members cannot register for it, then it should not be in the calendar. 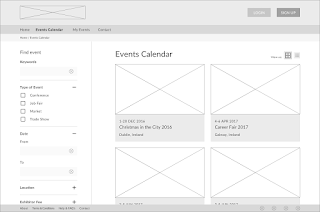 The original wireframes had a horizontal faceted search section above the calendar. It was moved to the left-hand side in the high fidelity wireframes to give the event details prime real estate. The exhibitor application is a process in itself. Exhibitors have to express interest to participate, await the offer for the event space, accept if offered, pay for their space, and receive confirmation. The whole process can take weeks. Under each event is the sub-process of checkout and payment. One of the issues solved by collaboration was visually representing the exhibitor application progress vs. checkout progress. The original wireframes had a progress bar for both of these processes. While they looked different from each other, user feedback indicated that the 2 progress bars together were confusing. I agreed. I went over the registration process again and considered that if an exhibitor gets denied a space, then he cannot advance to the next step. They cannot complete the progress bar. I decided to change the exhibitor application progress bar into a status indicator. I learned that it helped to step back and not get too much into the details.